Cover characteristics is a meme hosted by Sugar & Snark - each week they post a characteristic and choose 5 of our favourite covers with that characteristic. 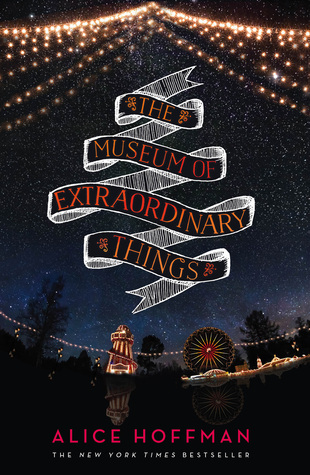 The museum of extraordinary things by Alice Hoffman. This book was so amazing. Maybe the cover is not all that whoay Circus - I'll just call it intense loyalty. The setting of this novel is Coney Island. And that was the ultimate circus experience. 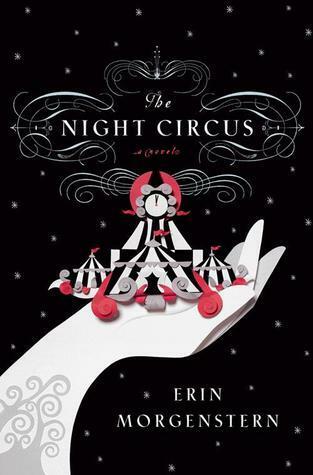 Yes, I am also going to list The night circus by Erin Morgenstern. When I saw the theme, this was the first book I thought of. I don't believe it matters if everybody uses this one. To quote from the novel: "The truest tales require time and familiarity to become what they are." 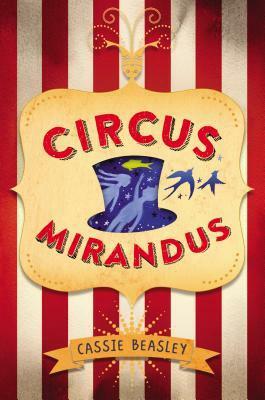 I haven't read Circus Mirandus by Cassie Beasley. I've just searched for it on Goodreads and immediately listed it as a TBR. Has anybody else read it? I'm Afrikaans first language and like most Afrikaans girls, I've grown up with Saartjie Baumann. I do suspect that this cover might give away my age. Saartjie se sirkus deur Bettie Naude. 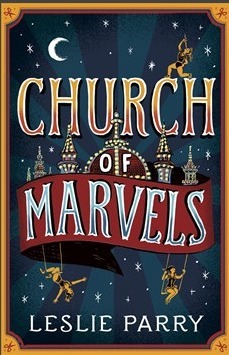 Note: I love circus-themed novels. However, I have never been to the circus. Ever. The Museum of Extraordinary Things might not be super circus-y, but it's still GORGEOUS! Definitely my favorite, and I'm going to go look it up on GR :-) The Night Circus, of course, is also a beautiful cover! Nice picks. I like The Museum of Extraordinary Things the best. Coney Island does have a certain mystique. Thanks for linking me in your sidebar by the way! Never been to the circus? Wow. I went a few times when I was little when they'd be in town. None come around anymore. I have not seen that cover of the Alice Hoffman book, and if I had, I probably would have been more interested! Now I'll add it to my TBR list. And I can't believe you've never been to the circus! I used to go like every year when I was little. Great picks! I know, it's just sad that I've never been to the circus. But think of it this way, all that "magic" we get from circus books, it stays right here in my imagination. Nothing to compare or spoil it with (so far).